What does the tax reform bill mean for the middle class? The current tax bill is part of a trend at all levels of government favoring unearned income over income from work, says sociologist Kevin Leicht. 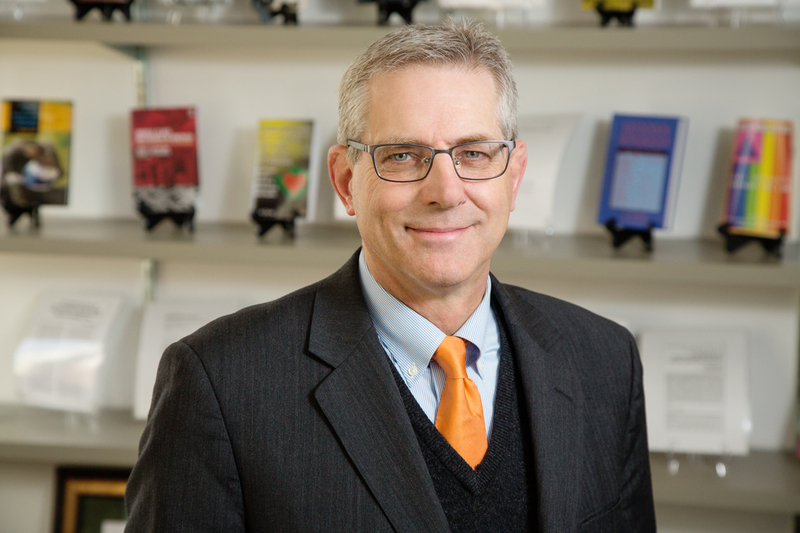 Kevin Leicht, who heads the sociology department at Illinois, has focused his research on issues of economic development, inequality and class. He is a co-author of the 2014 book “Middle Class Meltdown in America.” In an interview with News Bureau social sciences editor Craig Chamberlain, Leicht discusses the current tax reform legislation and where it fits in the recent history of taxation. Setting aside political arguments about the potential effect of these tax changes on jobs or the economy, how do they fit into long-term trends? The current tax reform bill is broadly consistent with the tax bills of the past 30 years. All of them tended to favor unearned income from investments and rents over earned income from work. As individual incomes rise, more income is derived from investments and rents. The 1986 tax reform bill paid for income tax simplification for individuals with a fairly stiff set of taxes on corporations. The 2001-03 tax cuts reduced rates for most taxpayers but failed to adjust the alternative minimum tax level, so many upper-middle-class households lost some of the benefits of deductions for state and local taxes and mortgage interest. The current tax bill cuts the top income tax rate somewhat and lowers the rest a little bit, but then cuts corporate tax rates drastically. The corporate tax cuts are permanent, but the individual income tax cuts sunset after eight years. In addition, people will move up tax brackets over those eight years because the brackets are not indexed to inflation. In some places where housing is expensive and state and local taxes are high, income earners will lose some of their mortgage interest and state and local tax deduction. Overall, the 2017 tax bill represents a permanent shift in the direction of favoring unearned income in the tax code, regardless of whether the tax changes create jobs or stimulate the economy. What are the most significant ways, historically, that the tax code has been structured to benefit the middle class? There are three ways the tax code has historically benefited the middle class. The first is to make most benefits granted by employers nontaxable – with college tuition, health care benefits and contributions to retirement plans the most obvious examples. For many people with jobs we’ve considered “good,” this has been a substantial hidden benefit in the tax code. The second benefit is the mortgage interest deduction that rewards homeownership. This benefit for most people is really large the first few years one owns a house because most of the interest payments on mortgages are collected early in the mortgage. This one is the most overemphasized because it assumes that median-income earners can afford to buy homes or condominiums, which is not true in the parts of the country where real estate is very expensive. The third major advantage to the middle class in the tax code has come through the allowance of deductions for state and local taxes, including property taxes on owned homes. Granted, most of these benefits are available to the wealthy as well, but in many cases these are the only deductions other than child allowances that middle-class taxpayers have. How have federal tax changes in recent decades either promoted or forestalled the middle-class “meltdown” you describe in your book? Federal tax changes have, for the most part, promoted that meltdown. This has happened by favoring unearned income over earned income from jobs and from unadjusted caps in federal payroll taxes that exempt most wealthy taxpayers from paying payroll taxes on earnings above $118,500. But the bigger economic effect has been indirect as states and localities engage in the same activities that the federal government engages in, favoring unearned income and increasingly regressive taxes and user fees on services the middle class relies on – like tuition at state-supported higher education institutions – and promoting tax incentives for business relocations that deprive state and local governments of revenues. The net effect of all these changes is that middle-class taxpayers pay more in taxes and the alleged tax benefits of most tax cuts don’t materialize. On top of this, the tax system reinforces an economic culture where unearned income is “where it’s at” and earned income is “passe” and not innovative or necessary. For all of the talk of reinforcing the work ethic, is this the message we want to send? If good middle-class jobs are the goal, what changes in tax policy should we consider? If you want tax cuts to produce high-quality jobs that last a reasonable length of time, then employers should be directly rewarded for creating jobs like that and directly punished when they don’t. What we’ve done the past 30-35 years is grant tax cuts to relatively wealthy people and then assume that they would create good jobs with the money returned to them. There is very little evidence this has happened. If that’s the behavior we want, then perhaps we should make that an explicit condition for getting a substantial corporate tax cut. This would produce drastically different corporate income tax rates based on who you employed and how you treated them. Editor’s note: To reach Kevin Leicht (pronounced Lighsht), call 217-333-1950; email kleicht@illinois.edu.